The Uganda Cup draws have seen moneybags Wakiso Giants drawn against Big League giants, Kyetume FC in the quarterfinals. The two Big League teams played to a one all draw when they faced each last year at the Nakisunga Ssaza grounds, a fortress for Kyetume FC . The quarterfinal game next month will be the first for former KCCA FC midfielder Jackson Mayanja and promotion master Allan Kabonge, ‘the Messiah’ as head coach and assistant respectively for the Mukono based team in the Uganda Cup after taking over the roles earlier this month. Wakiso Giants eliminated Tooro United whereas Kyetume eliminated fellow Big League side Kitara. In other games, Vipers will visit Big League and Lugogo based Proline FC whereas record cup champions Express FC will host BUL FC from Jinja. Big League side, Nebbi Central has been pitted against Bright Stars in Uganda Cup quarterfinal draws held at FUFA House in Mengo. The games will be played between March 9 and 12 on a one legged basis. 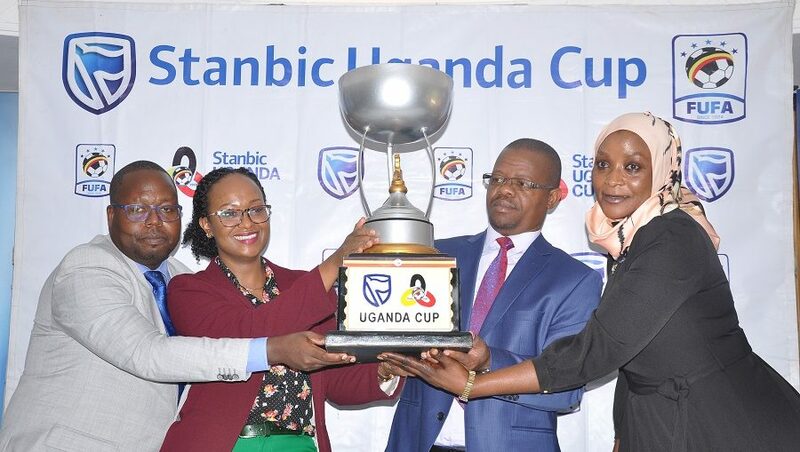 This is the 45th edition of the Uganda Cup that started in 1971. Express FC and KCCA FC on ten times are the most successful teams in the second most prestigious competition in Ugandan football. KCCA FC are the defending champions but were eliminated in this year’s edition by Tooro United. The winners of the tournament will walk home with shs40 million and shs.20 million whereas semifinalists and quarter finalists will get shs10 million and shs5 million respectively.